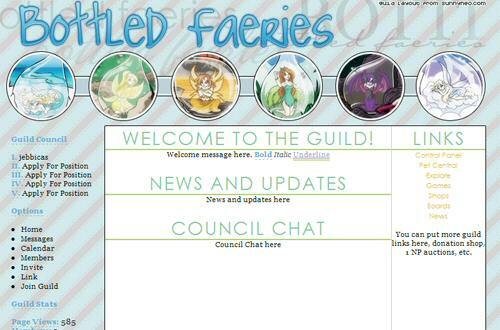 These are pre-made layouts to use in your guild. 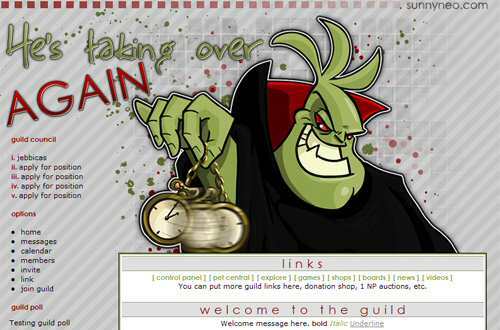 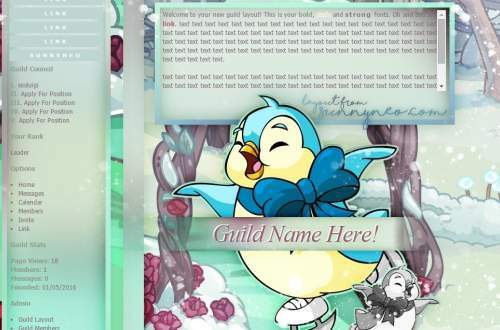 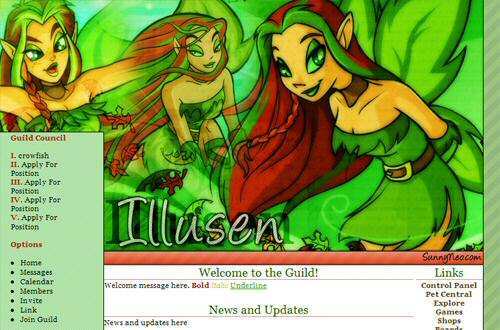 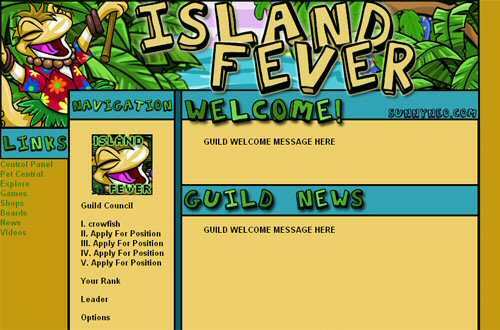 Copy the coding in the box and then paste it into your guild welcome message. 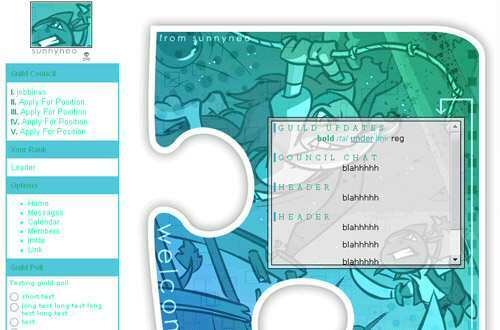 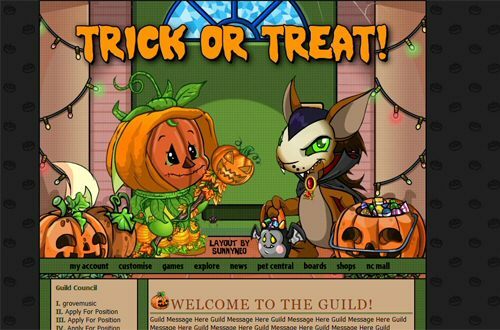 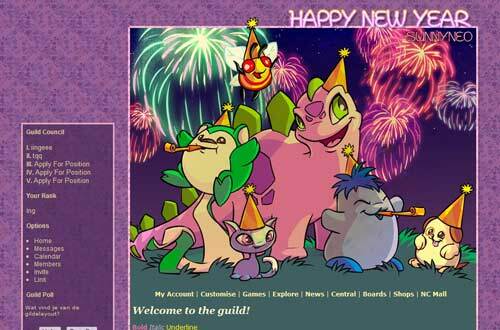 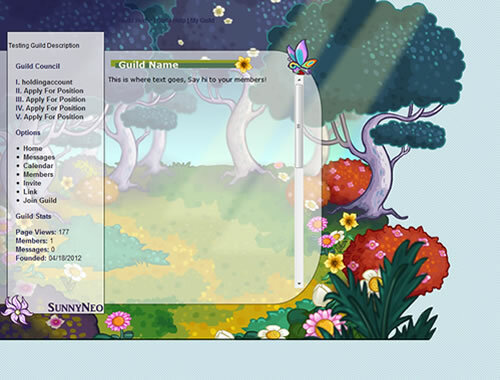 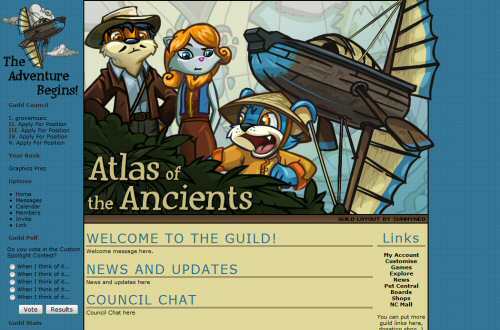 You can get to your guild welcome message by clicking on Guild Layout under Admin if you have admin access to this part. 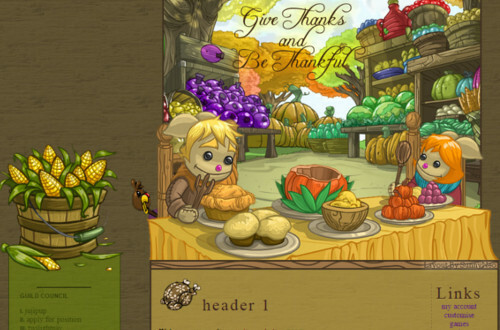 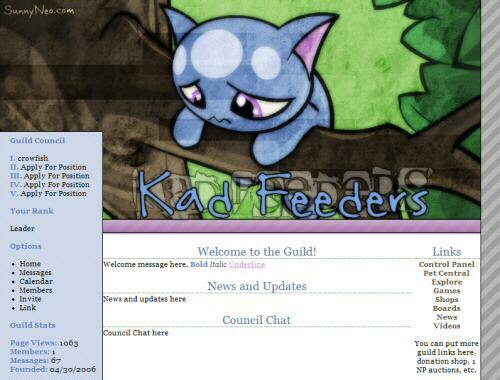 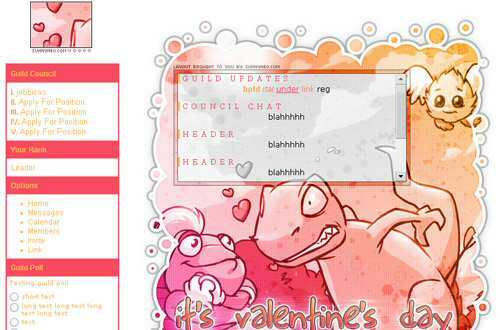 Then you need to click on Modify Guild Preferences and on that page will be Welcome Message. 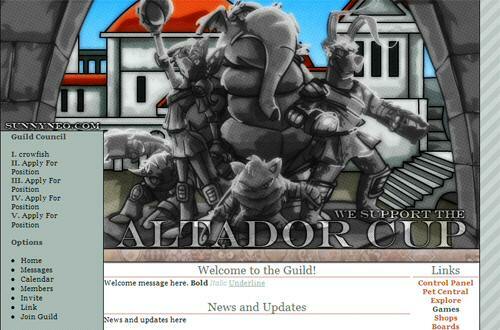 You can click on the preview of the guild to see a full sized version of it. 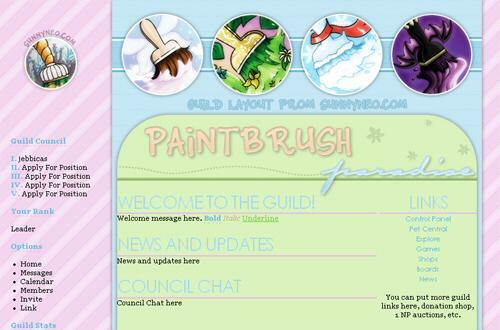 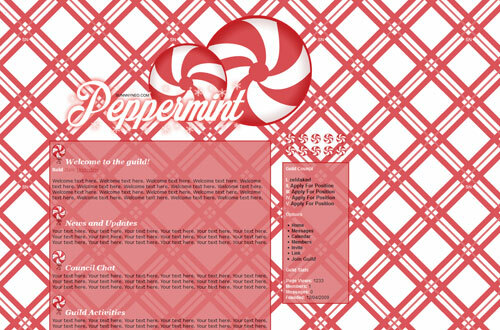 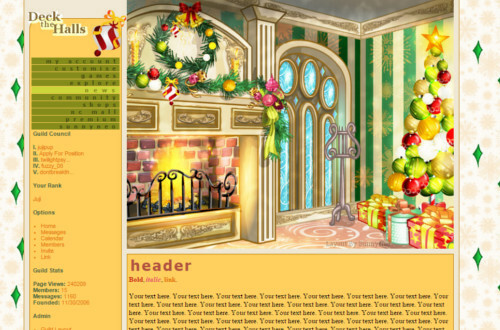 Below each preview of the guild it will tell you what fonts are used on graphics of the guild. 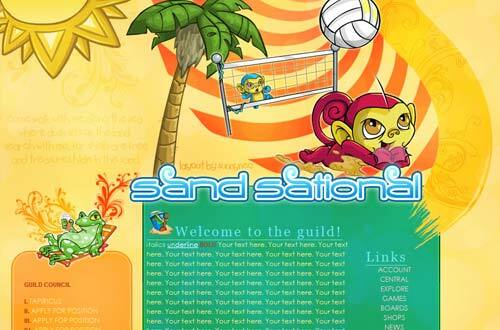 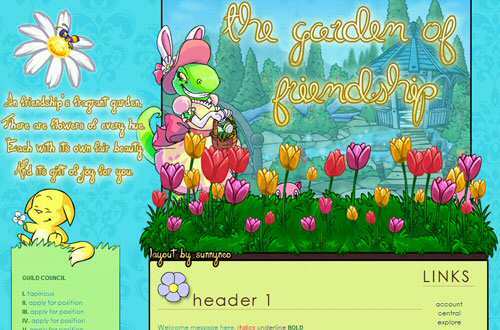 SunnyNeo's lookups and graphics are free to use for personal use only. 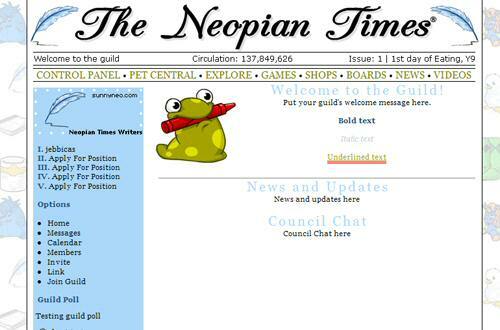 You may slightly adjust our content, however you must provide visible credit to SunnyNeo.com, in text or using one of our buttons. 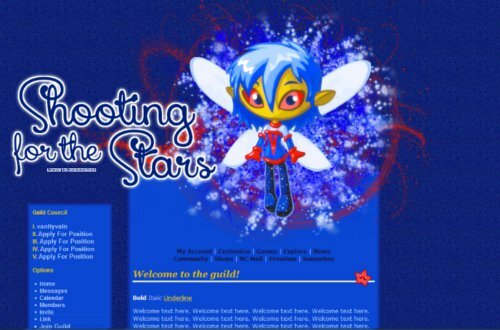 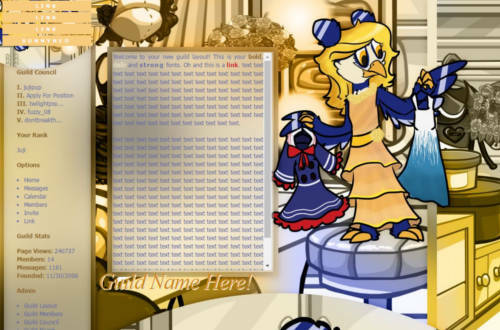 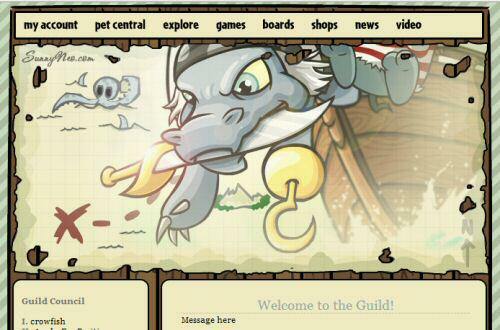 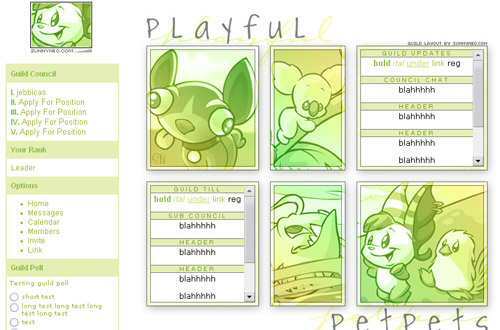 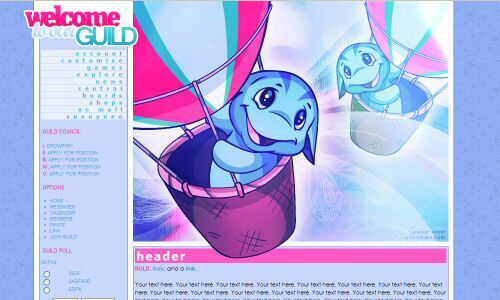 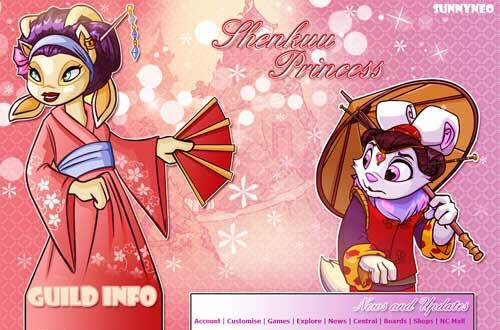 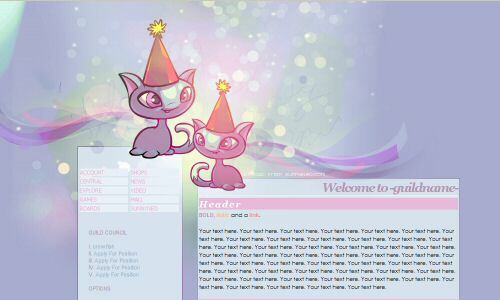 These userlookups cannot be used when entering any Neopets spotlight by any means. 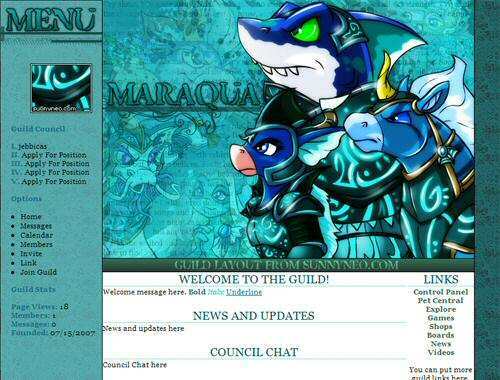 Guild Logo: save it onto your computer and upload it as your guild logo.